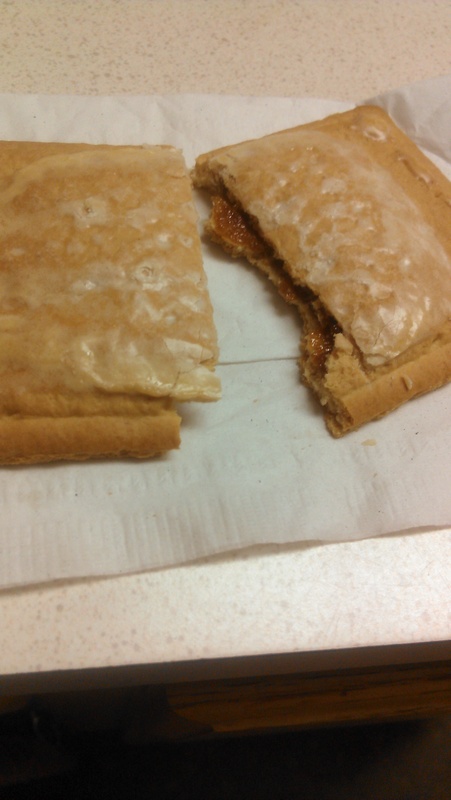 Now, if you have read my past blog posts, you know how I feel about Pumpkin Pie Poptarts. 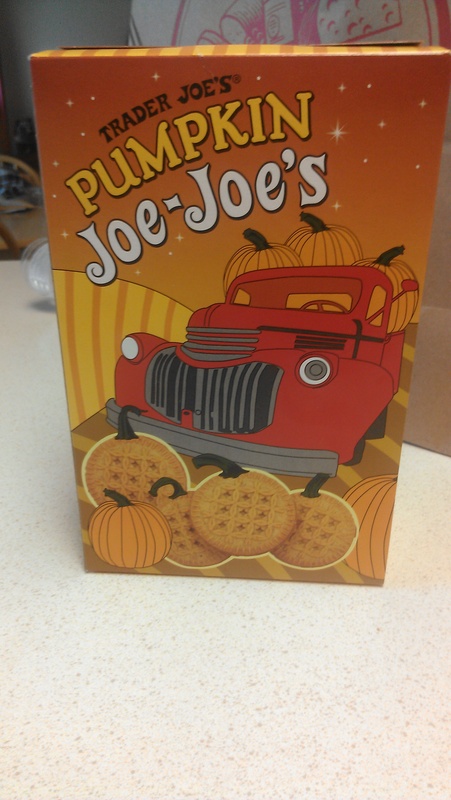 They were without a doubt my favorite pumpkin find of 2011 and the Poptart of all Poptarts. So I know this may come as a shock, but I like these a lot better! 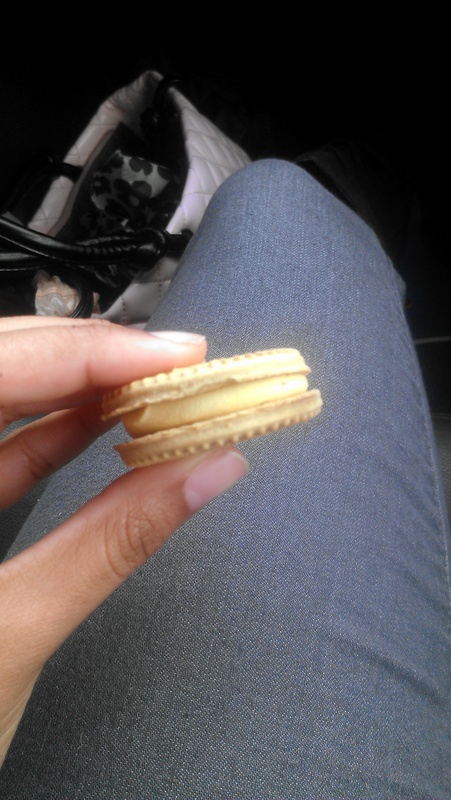 Calorically, they are no different, but the ingredients are all organic. And you can tell. The crust, made from wheat flour, tastes like pie crust, especially toasted. 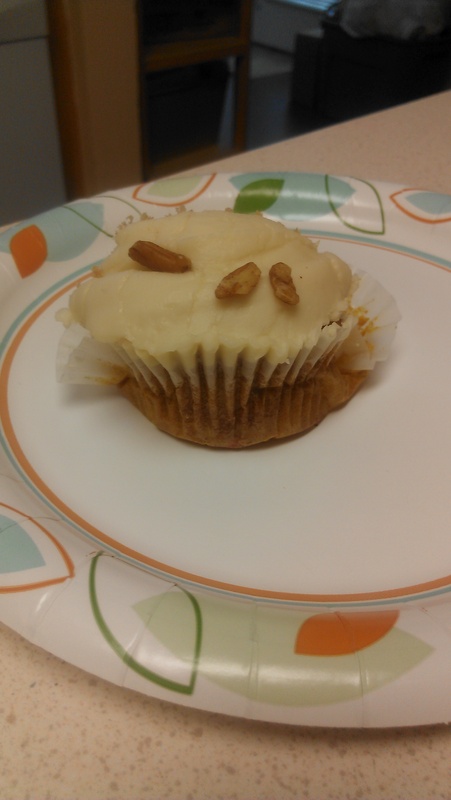 I toasted mine in a toaster oven because I read in another review that the icing may slide off, and I did not want to risk that (my little sister used the toaster, and it was fine). The icing was not overly sweet, and I would actually call it a glaze because it reminded me of the glaze on a Krispy Kreme. 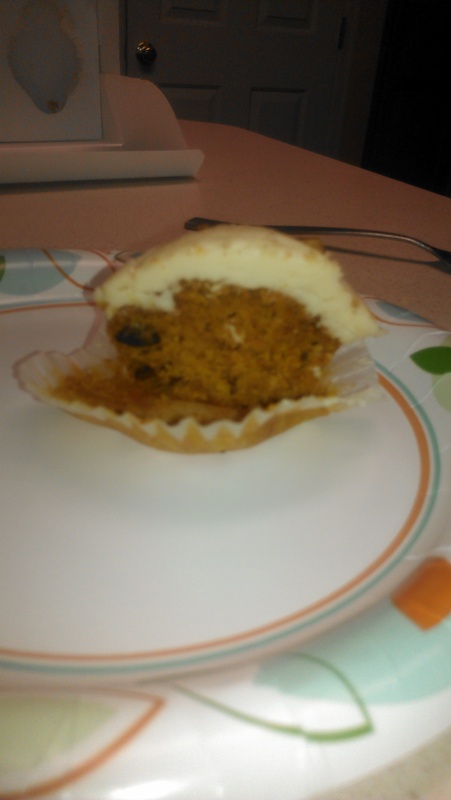 And the filling was nothing short of pumpkin-y, nutmeg-y goodness. 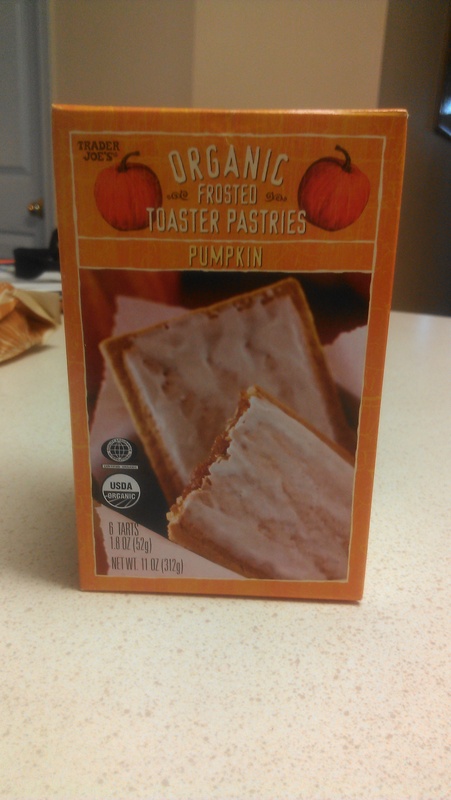 My sister liked them very much as well, though she did say they tasted more like pumpkin Toast ‘Ems than Pumpkin Poptarts. I always liked Toast ‘Ems better. My little sister takes a few classes at our local community college, and on those days, my mother or I, depending on who is dropping her off, we treat her to Wawa since it is the cool thing with college kids these days to go to the local gas station and get coffee, breakfast sandwiches, bagels, or mac and cheese. And actually going inside Wawa with my sister this go around, I can see why. 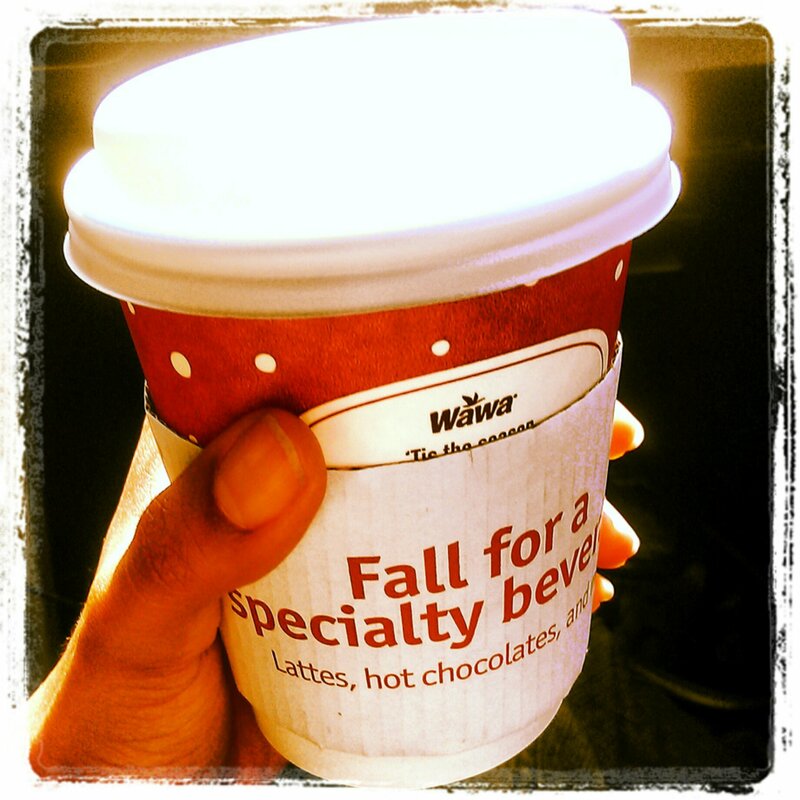 The options and customization they have now is ridiculous, and now they have a latte section?! After this discovery, I felt it necessary to treat myself as well. 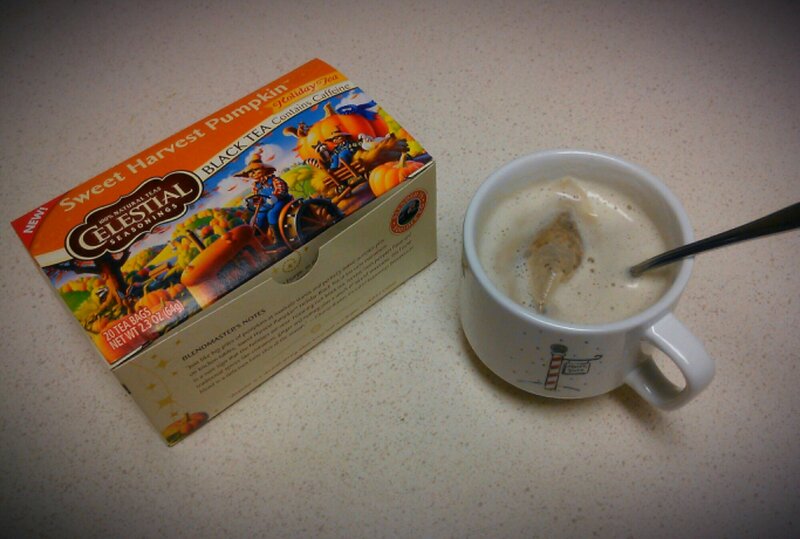 I decided to go with a nonfat pumpkin white hot chocolate since I kept trying to get one from Dunkin Donuts, but they never got my order right (I eventually realized they never “got my order right” because they were selling a pumpkin white chocolate latte, and I misread). This was a little cup of heaven. 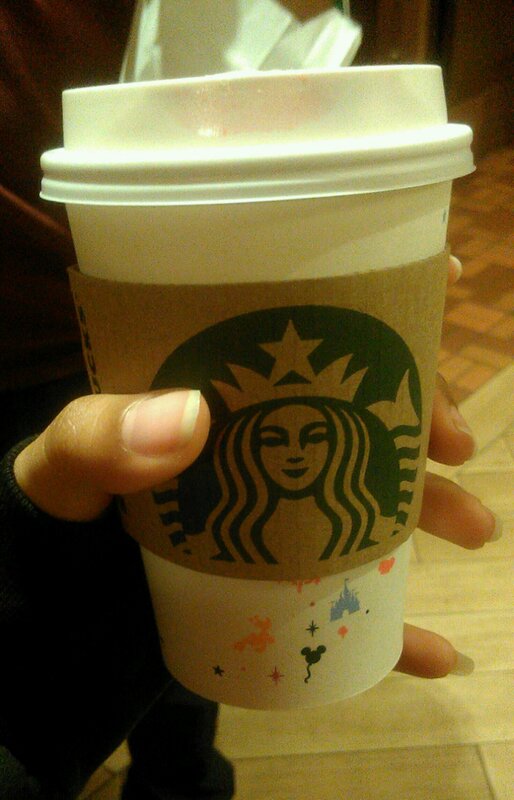 I already love white hot chocolate, and theirs was sweet and creamy and just a dream. 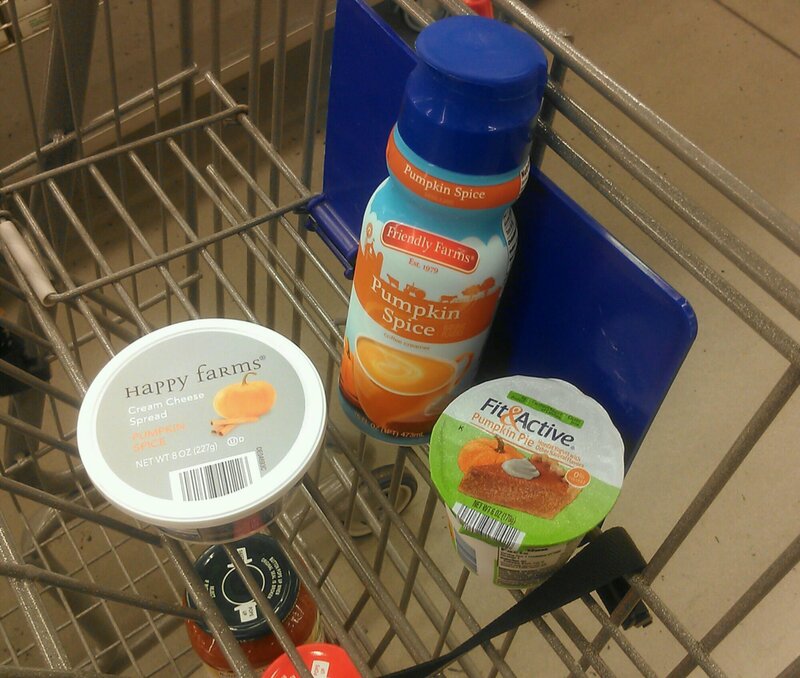 And their pumpkin syrup was delicious, more similar to Dunkin’s than Starbucks’ just to give a comparison. The only downfall to this drink is even a 10 oz nonfat one is 200+ calories, and Wawa currently does not carry soymilk, both of which mean I probably will not be drinking anymore this holiday season. 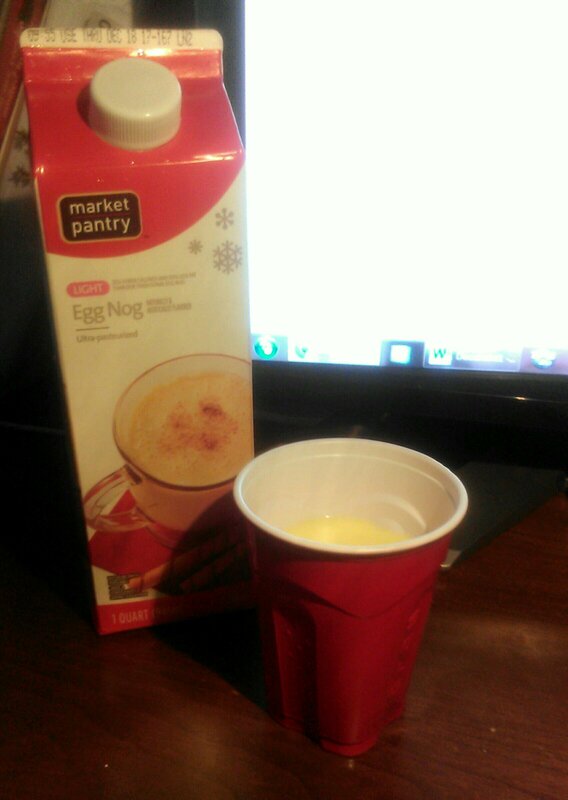 But I look forward to having this lovely beverage annually. On one of my rare trips to Giant, I found this little tempting morsel. I love the Little Bites blueberry muffins (my unhealthy breakfast of choice sophomore year of college), so I had some high hopes for these. I can’t say they were disappointing as a muffin. Just like their blueberry cousin, they were curiously (and probably should have been concerningly) soft and sweet. 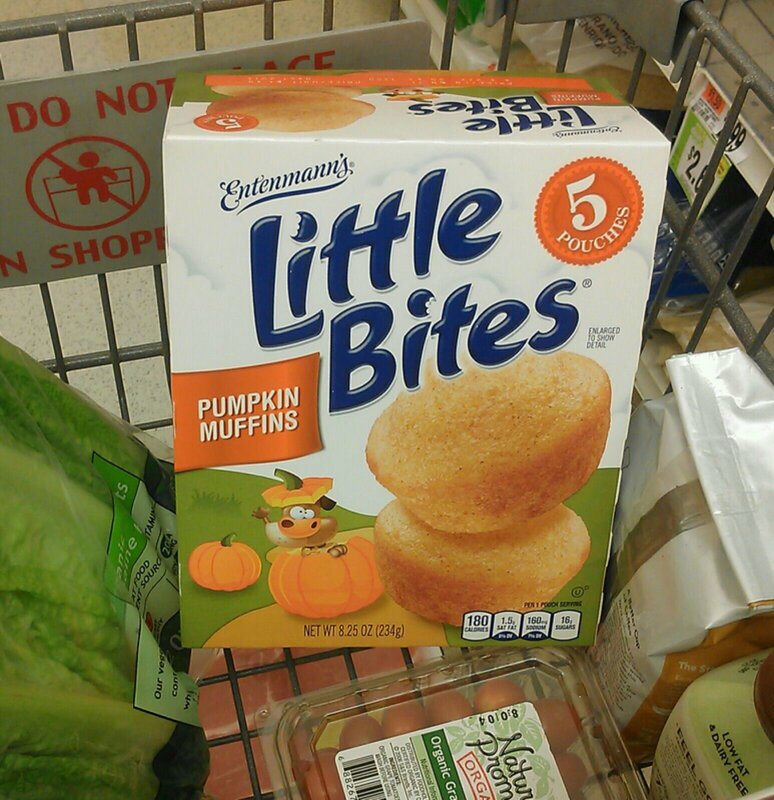 However, as a pumpkin muffin, they are disappointing. 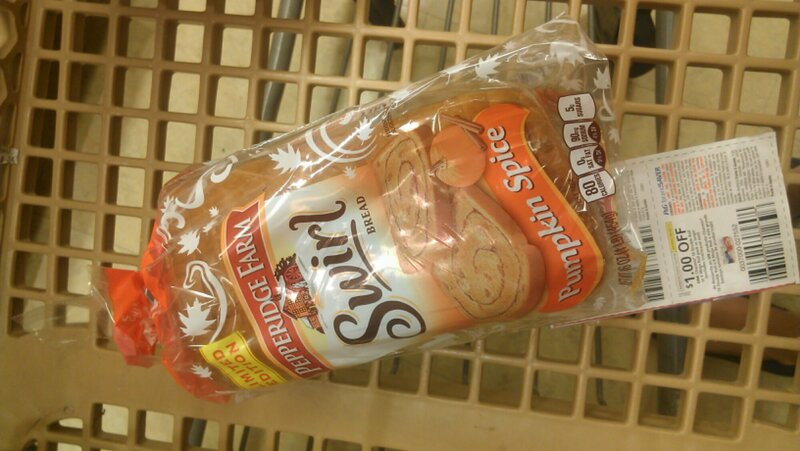 I mean, they did not even have an artificial pumpkin flavor; they were void of pumpkin flavor entirely. They should have just been called pumpkin spice muffins because they were soft, sweet muffins dusted with pumpkin pie spice. At least they were tasty though. My little sister loved them.